Update: On December 11, 2018, Judge Miller denied the U.S. International Boundary and Water Commission's ("USIBWC") motion to dismiss the Surfrider Foundation's allegation of unpermitted discharges by the USIBWC through its Flood Control Conveyance. Agreeing with our opposition to the motion, Judge Miller noted that “USIBWC fail[ed] to present sufficient evidence” on the factual questions raised by our allegation. U.S. District Court for the Southern District of California, San Diego — On November 19, 2018, Judge Jeffrey T. Miller held a hearing on a motion to dismiss part of the Surfrider Foundation’s lawsuit against the U.S. International Boundary and Water Commission (“USIBWC”). Surfrider filed suit on July 17, 2018, to address the USIBWC’s egregious Clean Water Act violations in the U.S-Mexico border region. Part of our complaint alleges that the USIBWC has allowed unpermitted discharges into the waters of the U.S. through its Flood Control Conveyance. These unlawful discharges have negative impacts on both human health and the environment. At the hearing, Judge Miller noted that any citizen (such as Surfrider) can sue under the citizen suit provision of the Clean Water Act, unless sovereign immunity applies. Sovereign immunity refers to the idea that the government cannot be sued without its consent. The USIBWC argued that the aforementioned part of our lawsuit is barred by sovereign immunity, because enforcing its compliance with the Clean Water Act would impair its ability to fulfill its obligations under a 1944 Treaty with Mexico to negotiate bilateral solutions to the international pollution problem. Thus, the USIBWC argued that this part of Surfrider’s case should be dismissed. Additionally, Surfrider argued that the plain language of the Treaty requires the USIBWC to comply with the Clean Water Act. More specifically, Article 20 mandates that “Each Government shall assume responsibility for and shall adjust exclusively in accordance with its own laws all claims arising within its territory in connection with the construction, operation or maintenance of the whole or of any part of the works herein agreed upon” (emphasis added). Thus, the USIBWC’s argument relies on the false dichotomy that it must either comply with its Treaty obligations or the Clean Water Act, when the Treaty itself states that it must comply with both. Part of Surfrider’s case should not be dismissed on this faulty basis. Judge Miller is expected to issue a ruling on the motion before the December holidays. 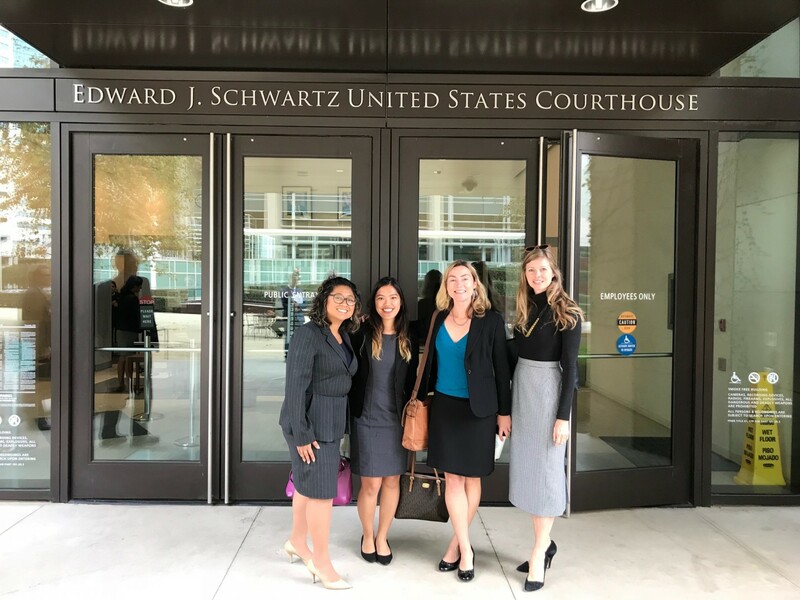 We are generously represented in this matter by pro bono counsel of McDermott Will & Emery LLP, including attorney Margaret Warner, who presented Surfrider’s arguments opposing the motion to dismiss.